Meet Mariam Fasiullah, WFCC Bayview’s Trainer of the Month for October! 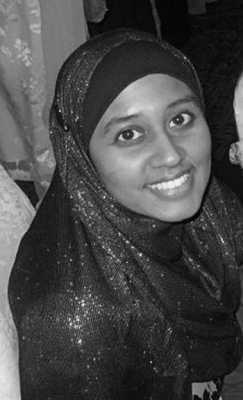 Meet this month’s fabulous Trainer of the Month at WFCC Bayview: Mariam Fasiullah! Mariam combines personal training experience and certification with a BSN in Nursing. For her, as a trainer, her most important goal is to help you to make exercise a part of your lifestyle. Initial goals may be weight loss, toning, or recovering from an injury, but her ultimate goal for each of her clients is for exercise to be in your daily routine. To book a session with Mariam, just click here and get in touch – or call WFCC Bayview at 416.489.1520. But read on, because you just might WIN a session! I love working on the Seated Row Machine! It’s easy, but you have to have perfect form. 1. Grab handles and pull towards you until you are sitting nice and tall. Round your shoulders back and down and stick your chest out. 2. Now pull handles towards you as far back as you can. Squeeze your shoulder blades together. Return to starting position. Repeat 10-12 times. I absolutely love working with the BOSU! Because the BOSU is not a stable surface it allows for multiple muscle groups to be recruited and engaged (proprioreception), thereby burning more calories and making it very efficient. There is a strong core element to using this equipment as we’ll in order to maintain balance. The BOSU is also very versatile; I can use it for my most beginner clients all the way up to my most advanced client. I definitely recommend incorporating the BOSU into your strength training routine! So when’s your next demo? Tuesday October 29th for my Core Plus class! Want to work with Mariam? You could WIN! Mariam will be offering a FREE personal training session to one lucky winner. To enter, all you have to do is “LIKE” us on Facebook if you haven’t already, and LIKE the photo of Mariam we’ve posted to announce her selection as Bayview Trainer of the Month. We’ll draw a winner on Saturday, October 12th!